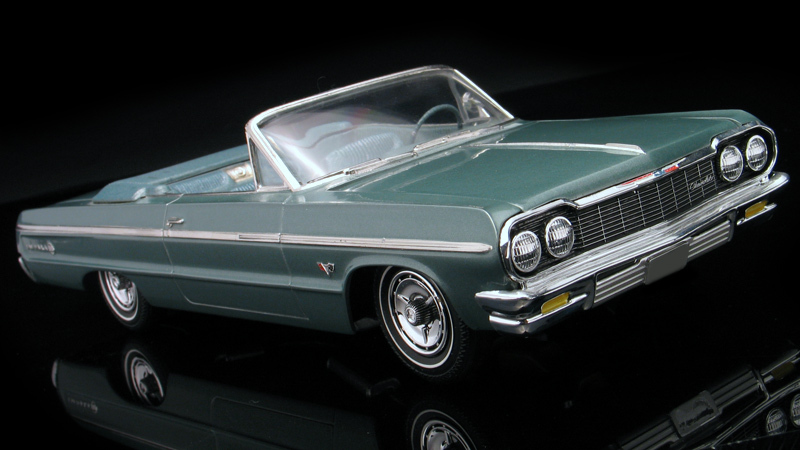 One of the prettiest cars that Chevy ever built was the 1964 Impala. It's clean and simple styling make it a classic that customizers and restorers alike can both appreciate. Big and roomy, the Impala could also be powerful when equipped with the Super Sport option and the top of the line 409 cu. in. V-8 engine and 4-speed transmission. 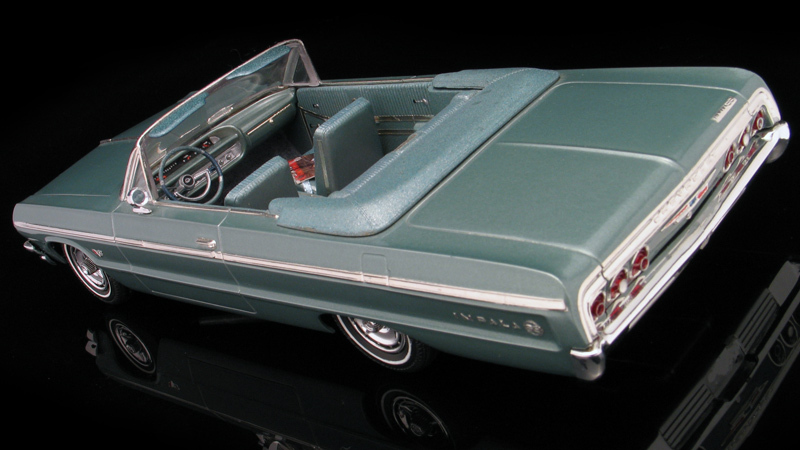 A few rare 409 engines also made their way into convertibles and Impala SS409s are highly desirable today in the full scale collector car world. 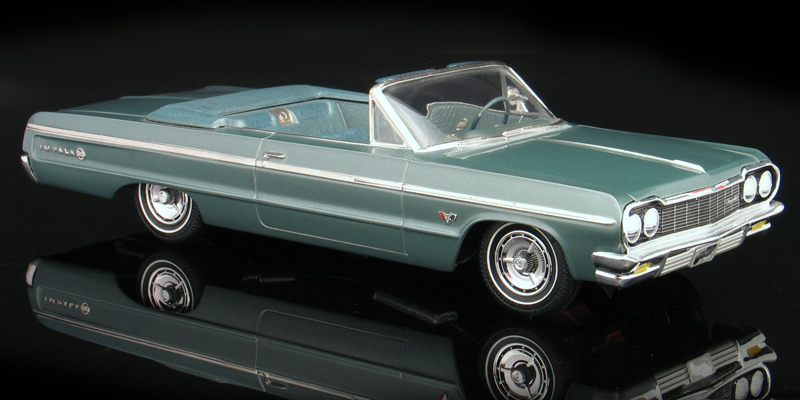 AMT made a convertible '64 Impala model kit back when the real cars were new but it has not been available since then. 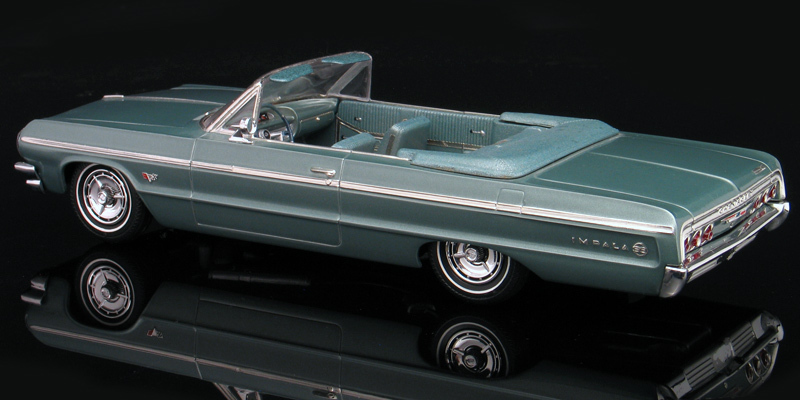 I built my '64 Chevy Impala SS409 convertible replica from an AMT '64 hardtop model kit and converted it into a convertible by removing the roof and adding a resin boot from Don Holthaus' ModelHaus resin kits. 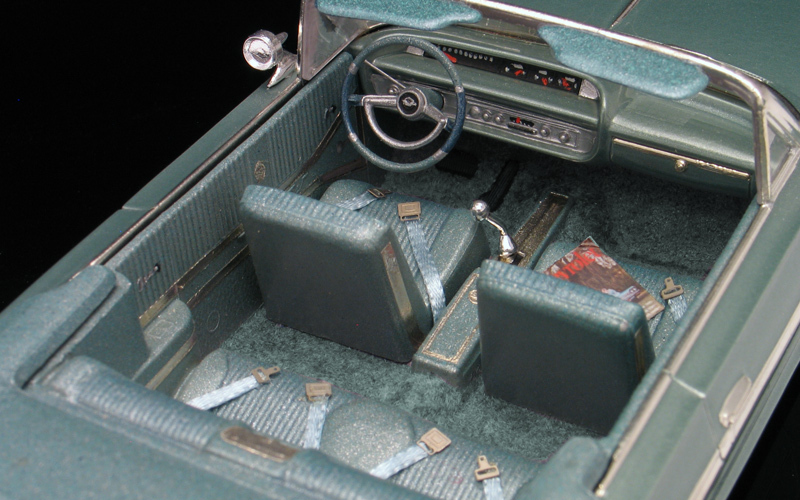 I also added extra details in the interior like scale carpeting and seat belts and a scaled photo reproduction of an original '64 Chevy Impala Super Sport brochure on the front seat. This model was built many years ago but it has held up pretty well in spite of it's age.